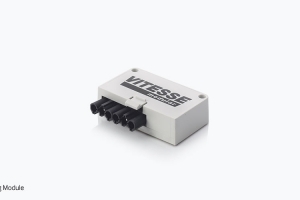 As its name suggests, Vitesse Modular™ relies on a modular design which means you simply add ‘modules’ as and when they are needed. 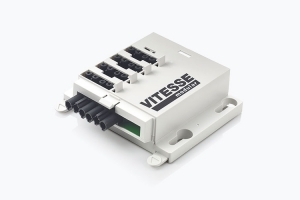 Packed with innovative features, Vitesse Modular™ is a cost-effective method of providing power and control for lighting installations in industrial, commercial and retail buildings. 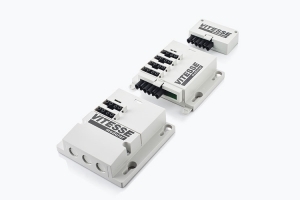 The Vitesse Modular system grows and adapts to suit the installation from 4-way to 16-way using the 4-way extender modules. 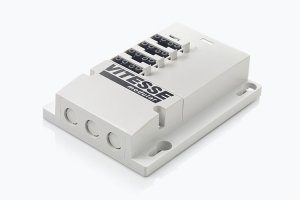 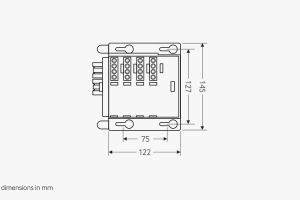 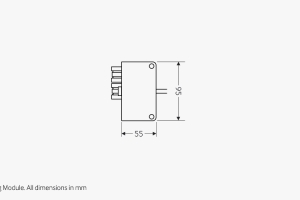 Once Vitesse Modular™ is installed, modules can be added (or removed) depending on future requirements. 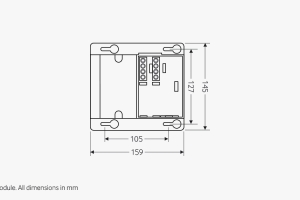 Also, as there are so few parts, you don’t have to waste space in a warehouse or vehicle with a huge variety of different parts just in case you might need them. 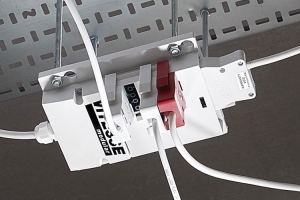 The compact Vitesse Modular™ system is ideal for installation in confined ceiling voids. 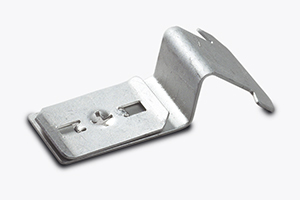 Unlike other products on the market, Vitesse Modular™ is light and easy to hold in position whilst installing. 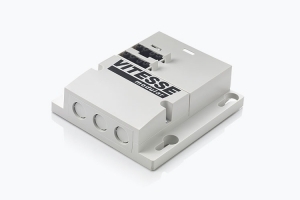 The Tuffgrid lattice design provides the strength for the lightweight Vitesse Modular™ range. 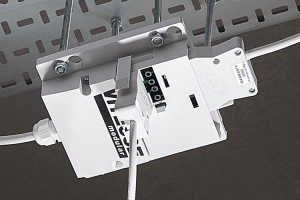 The VITM4-ATMOD turns the VITM4 lighting connection modules into a radio-controlled lighting control system. 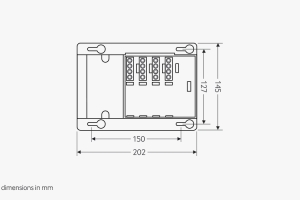 See the An-10 lighting control system for more details.